We are a leading Manufacturer of square jar new shape, plastic chemical cans and plastic tablet container from Mumbai, India. We are one of the leading manufacturers and suppliers of Pharmaceutical Containers Jars. 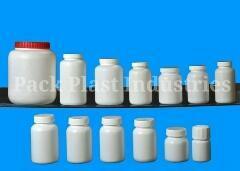 The offered pharmaceutical containers jars are made from high density polyethylene material. Our supplied pharmaceutical containers jars are very commonly used for the packaging and shipment of pharmaceutical materials and medicines. 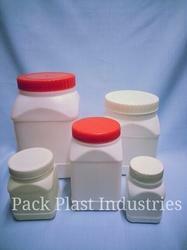 Our manufactured pharmaceutical containers jars are substantially rigid and strong in design. The supplied pharmaceutical containers jars are specially fabricated for the pharmaceutical industry. We feel proud to introduce ourselves as one of the well-known manufacturers and suppliers of Plastic Chemical Cans. 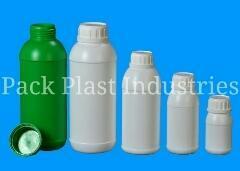 The offered plastic chemical cans are specially designed and molded for the chemical industry. Our manufactured plastic chemical cans are made from high density polyethylene material, which ensures high durability. The supplied plastic chemical cans are capable storing various types of harsh chemicals, which can be acidic or alkaline in nature. We are one of the well-known manufacturers and suppliers of Plastic Tablet Container. The offered plastic tablet container is specially fabricated for the storage and shipment of medicines and tablets. Our supplied plastic tablet container is very useful for the pharmaceutical and drug manufacturing industries. The manufactured plastic tablet container is designed to provide long lasting service and durability. Our supplied plastic tablet container is a sturdy construct, which can withstand optimal shocks and stresses. Looking for Pharmaceutical Containers ?